Blue Matcha: More Than a Foodie Trend? Have you seen photos of mermaid smoothie bowls or electric blue cupcakes on Instagram and wondered, where does that vibrant color come from? It must be food coloring, right? Actually, the latest food trend is using natural ingredients to showcase bright and bold colors in food. Blue matcha, made from the Butterfly Pea Flower, provides beverages and baked goods with a show-stopping range of colors from lavender to deep azure. Butterfly Pea Flower or Clitoria ternatea, is part of the Fabaceae Family. It is also known as Asian pigeonwings and bluebellvine. This flower thrives in Southeast Asia and has been incorporated in many traditional Thai dishes that range from sweet teas to dumplings. You might be thinking that blue matcha must have some similarities to the ever-so-popular green matcha which has become standard in drinks and desserts in many cafes and restaurants these days. I’ve enjoyed green matcha at Cha Cha Matcha in NYC and Stonemill Matcha in San Francisco. But surprisingly, blue matcha and green matcha don’t share many qualities. Green matcha powder is made from tea leaves, while blue matcha powder is made from a flower. Unlike green matcha powder, Butterfly Pea Flower powder does not contain any caffeine. Green tea powder offers an earthy taste, while Butterfly Pea Flower powder doesn’t have much of a taste at all. 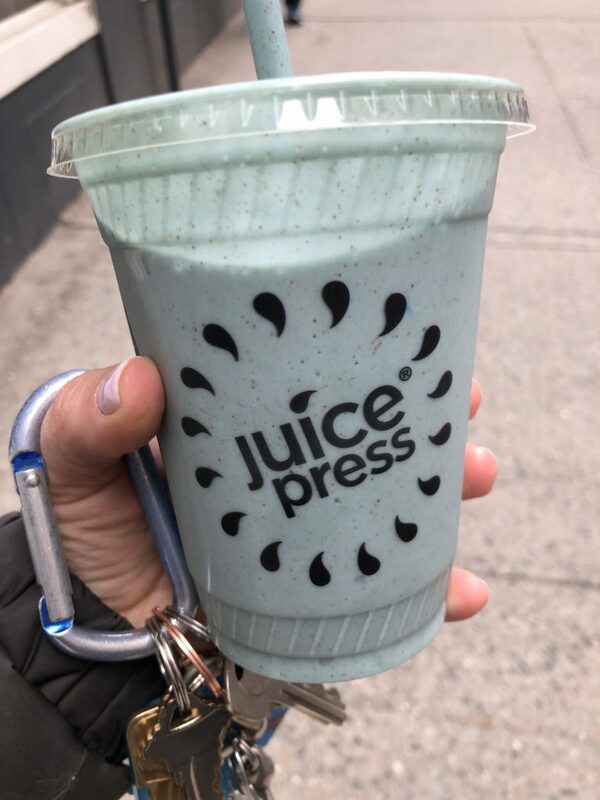 Blue Magic smoothie from Juice Press. Is it safe to eat? Butterfly Pea Flower’s health claims are not regulated by the FDA, but there is no evidence stating it is unsafe for consumption. Not all of blue matcha’s health claims are supported by evidence-based research, and only a handful of studies are conducted with human subjects. Butterfly Pea Flower powder has been used in Ayurvedic medicine to help with many issues including pain relief, stress, inflammation, asthma, depression, seizures, cancer, blood flow issues. Below are researched-based discoveries regarding the encouraging potential of Butterfly Pea Powder in relation to many health issues. Butterfly Pea Flower contains antioxidants including anthocyaninidins, which are classified as a subgroup of the flavonoid family, a type of phytonutrient. Anthocyanidins are found in many fruits such as plums, grapes, and blueberries. Flavonoids have been studied for their cancer-fighting potential for many years. In 2013, an article was published citing the anti-tumor activity of dietary flavonoids. In an article published in 2016, Butterfly Pea seed and petal extract were shown to decrease the viability in human carcinoma cells. Butterfly Pea Powder may have implications in managing depression, anxiety, and stress. In a 2003 study, Butterfly Pea Flower extract showed potential in mice relating to antistress and antidepressant activity. In another study published in 2002, Clitoria ternatea root extract administered to rats increased the amount of acetylcholine in their brains. Acetylcholine is a neurotransmitter, which has been associated with memory and learning. and its relationship to asthma and bronchitis in mice and rats. A study in the Journal of Ethnopharmacology discovered that the antiasthmatic activity of ECTR may be related to the presence of flavonoids in Clitoria ternatea. In a study published in 2018, Clitoria ternatea extract and glycemic response in 15 men was studied. The results suggested that consumption of CTE improves postprandial glucose and insulin levels when consumed with a source of sucrose versus alone. A studying involving rats with diabetes, published in 2015 in the Journal of Applied Pharmaceutical Science, showed the flower extracts from Clitoria ternatea lowered serum glucose levels, yet increased the body weight of rats, which suggests a similar effect of Glyburide, a drug that treats type 2 diabetes. To blue matcha or not to blue matcha? The research is certainly looking promising in terms of its health claims. As registered dietitians, we promote eating a variety of foods so, if you are in the mood for an instaworthy vibrant blue smoothie, go for it! 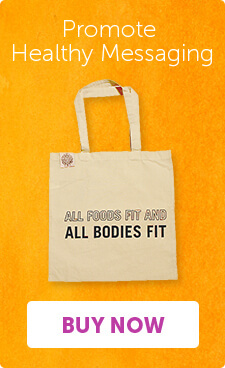 Remember that all foods fit and not one in particular is a “miracle food”.